Saltbox Roof: Pros and Cons - MASCON, INC. The saltbox roof is a residential roofing style that became popular during the Colonial era featuring a distinct shape that is still used in residential construction today. 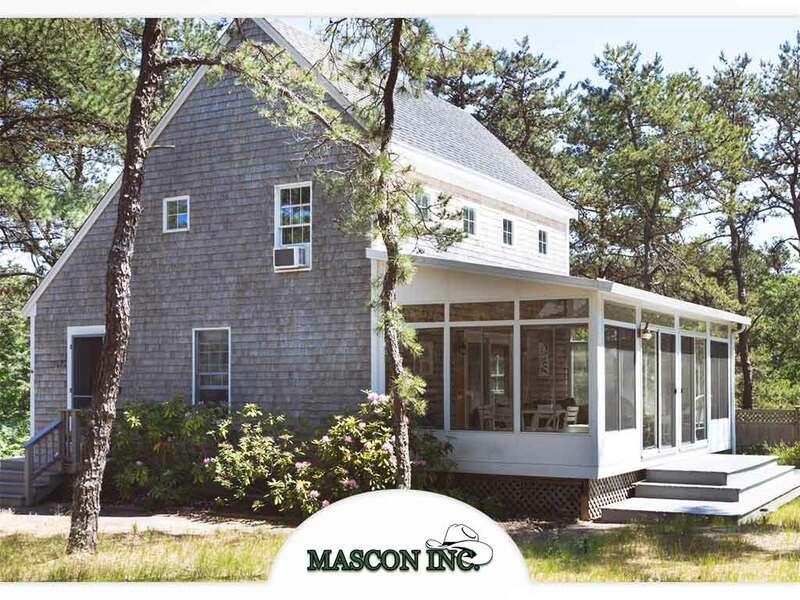 Read on as Mascon, Inc. shares an in-depth look at this traditional roofing style. In its simplest form, a saltbox roof is a gable roof with asymmetrical planes, one long and one short side. The short side typically has a low slope, while the long side has a steep slope. On a two-story home, the long side may span the height from the ridge to edge, which can be one long roofing plane or divided into two. A saltbox home is different from a shed roof, as the latter has one roofing plane where the top roof edge meets the top of the rear wall. Saltbox roofs are ideal for areas with moderate to heavy rainfall. As the long side covers most of the structure, it can efficiently route rainwater straight into the gutters. Because of this, proper gutter sizing is important, and should be done by an experienced gutter contractor. Saltbox roofs are also relatively easy to maintain by a professional roofing contractor. The roof shape may result in an unusually tall attic space, but this allows future conversion to a room or loft. There are certain drawbacks that might make saltbox roofs not the ideal roofing choice. The long side of the roof creates a slope indoors. This means, in addition to the aforementioned attic conversion, the homeowner must choose between a low ceiling or an angled ceiling. Mascon, Inc. is a GAF Master Elite® contractor and is your leading provider of roofing installation, maintenance and repair services. Give us a call at (512) 376-5096 or fill out our contact form. We serve clients in Austin, TX, and surrounding areas.